The US DOE wants to step up its wind energy game in a big way. And I mean big. Sandia National Laboratories has been tasked with the challenge of designing an offshore wind turbine that can spin out 50 megawatts of carbon-free juice—using 650 foot blades that harness the fiercest winds on Earth. It sounds damn ambitious, but if we want to start generating wind energy at scale, we need to dream big. And nobody’s better equipped to take on the challenge than Sandia, where engineers have already fleshed out designs for a 13 megawatt turbine featuring 328 foot-long blades. The new “exascale” turbine would essentially be a bigger version of that model, which includes bio-inspired design elements aimed at channelling the world’s most powerful winds. 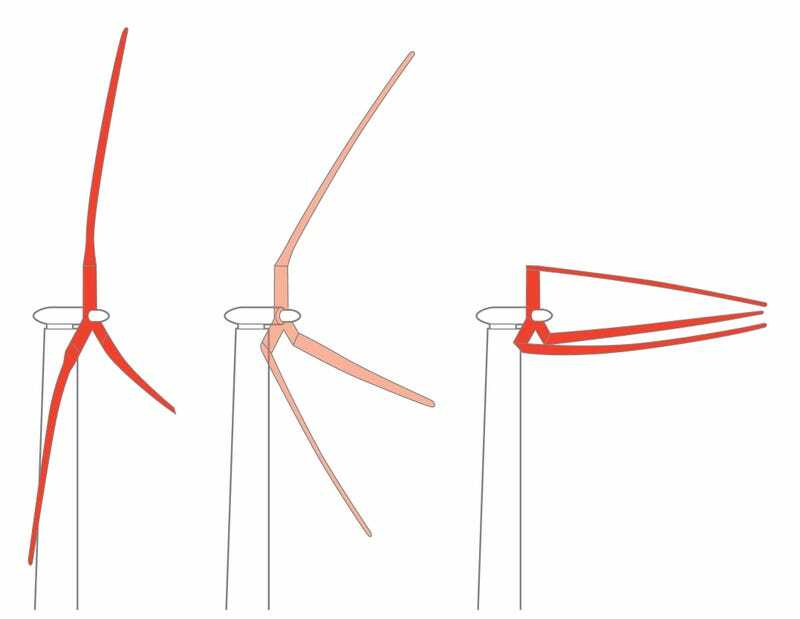 For one, the turbine would stand on a lightweight, segmented trunk that bends in the breeze without snapping. The blades will also be segmented, allowing them to fold in at high wind speeds to minimise the risk of damage. On calmer days, the turbine would fan out to its jaw-dropping, 1300-foot span in order to maximise energy production. The entire system is similar to a palm tree, which, by shuttering up and facing the wind during hurricanes, can withstand gusts of up to 200 miles per hour. Today, regions of the world that experience severe storms—and the strongest, most energy-rich winds—are dangerous for turbines. The concept is still in its design phase, so don’t expect to see titanic offshore turbines next year. But this could be an important part of our long-term strategy of boosting the nation’s renewable energy output and weaning ourselves off fossil fuels. And honestly, who wouldn’t want their future energy strategy to involve megastructures capable of channelling the power of hurricanes?